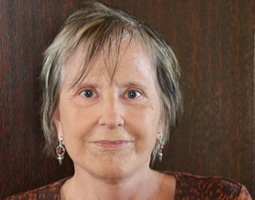 Rae Armantrout has won the 2010 Pulitzer Prize for Poetry for her book Versed; it is a great and glorious event. I became aware of Rae Armantrout's work in the Seventies while an undergraduate literature student at UCSD, and whatever value or lack of it one thinks the Pulitzer Prize has in terms of distinguishing the best work from the passably acceptal, I am glad that someone I know (if only slightly) has grabbed A Big Prize. It means not only that she will have here tightly constructed poems read and considered in a more mainstream context--the broader readership is now part of a discussion on poetics some of us have been having for years--but it gives the lie to the notion that her work, and the work of other poets falling outside the peripheries corporate press deigns to cover and review, is too difficult, alien, abstract or incomprehensible to bother an over taxed reader with. The idea that Rae Armantrout's work is difficult is, as has been remarked about "Ulysses", is made too much of. There are items, phrases, condensed cadences and references that need to be parsed, examined, considered thoughtfully , but as with Joyce's musicality , wit and sensuality, there is a tangible presence in Rae's work with which a reader can frame their own response. It's an old distinction that one notices in the best voices--the emphasis is more on creating a sense of things rather than making sense, "making sense", in this case, being that the one wants to define and contain experience as if it were a commodity. What Rae achieves (and what Stephen Burt spoke to in his New York Times review of her previous collection "Next Life") is that the facts of our lives, the joy, the agony, the aches and illnesses, are too slippery in their larger implications to place within convenient brackets. She understands what happens when a recollected event and a later idea merge in the stream of the alert psyche. Her method, perhaps, is the reverse of that of John Ashbery or A.R. Ammons,two poets who have, with frequent inspiration, written at length to suggest the collisions of subjective responses to the material plain.Their musings have different notions--Ashbery is ambling between the perfections of Ideal Types and the contradictions of felt experience and memory while Ammons prefers a direct address of how the senses fail the organizing mind as the years stockpile upon him--both write at length, inspecting each stone and exotic plant on their path, each otherwise unconsidered detail a topic sentence inspires, until they're satisfied that they've explored enough nuance, refined or rough hewed. Rae Armantrout has something more closely resembling radar; she gathers the precise details, chooses the right words; her poetry balances a breath taking clarity with the sense of the ephemeral, that what she isolates is fleeting , soon to be lost amid the stream of continuous thinking. Rae Armantrout gets the exact moment when a history of impressions meet each other on the long highway. She places the reader in the moment, amid the particulars her poems highlight. The reader finds something of their story in her rigorously pared-back sharing. The readers get it, and it would be nice if her being awarded a Pulitzer indicates that larger media are done ghettozing poets. In the meantime, it's a good thing that she has the award. A very good thing.